care, which is made to provide palliative care, alleviate the physical, emotional, social and spiritual discomforts of an individual who is experiencing the last phases of life due to the existence of a terminal disease. It also provides supportive care for the primary care giver and the family of the hospice patient. There are many of these Hospice Care providers in San Diego, CA, for you and your loved one to choose from. Hospice Care is administered by a team-oriented group of specially trained professionals, volunteers and even family members. The providers are able to acknowledge all symptoms of a disease, with a special emphasis on controlling a patient’s pain and discomfort. Hospice care services can be given in any location of the seniors choice. Sign up today and save your San Diego hospice listings. There are many Hospice Care providers in the city of San Diego, California that may be the right fit for you or your family. 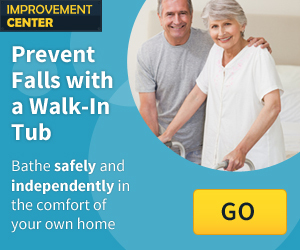 Click below to view Hospice Care providers in San Diego, CA. Hospice care teams can provide help in the everyday activities of the family, in order to give them an opportunity to take a “break”. Hospice staff and volunteers offer a specialized knowledge of medical care, including pain management. Hospice Care is a special type of care that is designed to provide satisfaction and support to patients and their families in the later days of the patient’s life. San Diego is a vibrant city located on the pacific coast of California. San Diego is known for its beaches and waterfront sites and attractions. A few of these points of interest include The San Diego Zoo, USS Midway Museum and Old Point Loma Lighthouse. There are also many cites near San Diego, CA including Carlsbad, Escondido and Chula Vista, CA. The city of San Diego, CA will surely provide for you and your loved ones with your needs.